The difference between a good admission essay and a great admission essay is acceptance. You work hard to get the best grades and the highest SAT scores you can but then turn in an average admission essay. Admission services are the way to optimize your essay. Schools do not look just at good grades, SATS and activities. Having an admission essay that stands out and proclaims what an asset you would be to the school can make admissions officers take notice. People from the top of their class have been beaten out by students using our services to form the perfect essay. The perfect mix of grammar, punctuation and content make a great essay, but without a personal touch it will hardly win attention of the admission officers. Our services not only deliver an accurately edited essay but also an essay with the perfect blend of content and personality. Content or editing, our specialized services can help with all your essay needs. We offer a variety of services to cover all needs. Our educated editors and writers are ready to help you with admission, scholarship essays and personal statements. Our writers consistently present even the most mundane personal facts in a creative way so that you come out at your best. Essays are delivered single\double spaced, and in 12 point, Times New Roman font. There is no page limit for this service. We will help you overcome the greatest obstacle to applying for a scholarship - writing a winning scholarship essay. Our writers are experts in convincing the Scholarship Committee -you are the best candidate to obtain the scholarship. Your academic experience and personal aspirations will be presented in the best light so that your essay attains its goal. Your personal statement is your chance to set yourself apart from the thousands of other applicants. It should tell the admissions committee who you are, explain why you wish to study here and convince them to accept you to their school. Whether you need to write a general comprehensive personal statement or respond to a specific question - be sure that our writers will accommodate your application needs. 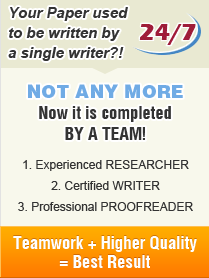 We improve your essay by eliminating all errors of spelling, grammar, and style. 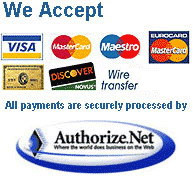 We also deliver your content single\double spaced, and in 12 point, Times New Roman font.